This is the third in a series of profiles of the members of my writers’ group, the Kensington Writers’ Group (KWG). I have a fickle relationship with grammar. I’ve been know to storm up and down the hallways at work accusing my bosses of forcing me to defy commonly held rules of grammar. Other times I play fast and loose with punctuation and like to throw a colon in the middle of a sentence: because I feel like it (that was fun). I’ve been known not to use the em dash just because I don’t like how it looks. I’ve also been known to obsess over the en vs. em dash debate – don’t get me started (hmmm maybe that should have been an em dash, but they’re ugly). Now, if you’re stretching to reach for your Stunk and White on the bookshelf let me save you getting out of your computer chair. 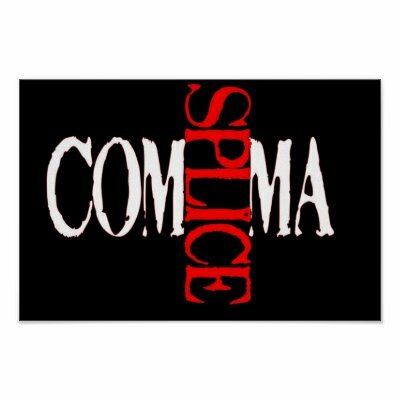 Here’s what Grammar Girl says about comma splices. Luckily for me I have Susan Forest in my writers group. Awesome science fiction, fantasy and horror writer by evening, she’s a school principal by day. And she doesn’t let me get away with my comma splices. Apparently, being sick that day in grade five when they covered comma splices isn’t an excuse. Saying ‘ hey, it’s my style’ doesn’t cut gravy with her either. She also gives great feedback on substantive issues like character, plot, and tension. Susan’s debut young adult fantasy, The Dragon Prince, was published in 1990, and won the Children's Book Choice Award in that year. She has published a number of short stories in Canada and the United States. Her works have appeared in OnSPEC Magazine (2005, upcoming), Tesseracts Ten (2006), Tesseracts Eleven (2007), In Places Between Anthology (2005), Asimov's Science Fiction (2006, 2007) and Analog Science Fiction and Fact (2008). A nonfiction piece she wrote appeared in the fall 2009 issue of Legacy Magazine. “How do you know her?” I ask. “She’s in my writers’ group,” said person invariably answers. And so it goes until one of us gets thirsty and heads for the bar or water fountain. In fact, Susan belongs to three active writers' groups, and is a member of the Science Fiction and Fantasy Writers of America. Susan has appeared as a panelist at the World Science Fiction and Fantasy Conventions in Denver (2008), and Montreal (2009), and at the World Fantasy Convention in Calgary (2008). She has also twice judged the Robin Herrington Memorial Short Story Contest (2007, 2009). Her short story, "Back" (Analog Science Fiction and Fact, June, 2008) was a finalist for the Prix Aurora Award. You can check out Susan's website and blog. Susan's daughter, Heather Osborne, is following in her mother's key strokes and is taking a Masters Degree in Science Fiction Studies at the University of Liverpool. She has a cool blog. New here and completely taken with your style of humor. Write on. Thanks Seamus, another funny one coming right up! Ah, yes, the annoying comma splice. Love your images - might steal one to use with my students. Favourite things to critique in my writers' group (of which Susan is not a member, perhaps surprisingly) include exclamation marks (avoid! ), italics (*avoid*), cliches (avoid like the plague), and useless repetition (avoid avoid). Not to mention tag words other than "said." Hahaha! I'm so very glad that someone else has huge problems with commas. Thanks for the mention. And also thanks for the post. You're very funny.